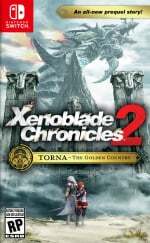 If you're a keen Xenoblade Chronicles 2 fan, sinking every precious hour you have into its addictively gripping ways, you may be pleased to hear that a new update has just arrived for both the main game, and the newly released expansion Torna - The Golden Country, fixing various bugs and issues across the board. Proud owners of the main game should now be able to update their game to version 2.0.1, with those who have only purchased Torna – The Golden Country now able to update to version 1.0.1. In the main game, this update fixes an issue with the rare blade Dagas, where the driver he is bonded with would "change mistakenly", and also fixes a bizarre issue where Rex’s outfit could appear incorrectly during the ending scenes of the game. 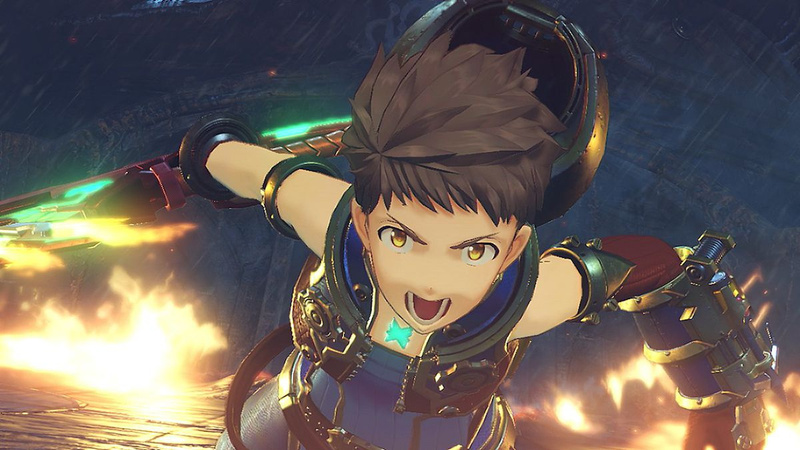 The list of fixes for Torna – The Golden Country is rather substantial, and Nintendo has provided the full patch notes to show exactly what has been changed. There are all sorts of fixes here for things such as the Affinity Chart and particular quests, so feel free to explore the features of the update below if you've been facing any difficulties. - Fixed an issue with the Affinity Chart, in which completing it did not cause Trust to become S rank, and the completion reward item was subsequently not earned. (After downloading the update, checking the Affinity Chart again will cause Trust to increase to S rank and give the player the completion reward item). - Fixed an issue with the third requirement to “Meet characters from the Community List” for receiving Jin’s Affinity Reward, “Mineralogy.” This issue prevented characters that had been met in event scenes or cut scenes to not be counted as “met” unless the player talked to them outside those scenes. This applied to the characters Popolo, Onyx, Kaleena, and Leo. (After downloading the update, if you have already viewed the necessary event or cut scenes, these characters will automatically be counted as “met”). - Fixed an issue causing a character switch to take too long when selecting Brighid for a Chain Attack after she had used her Confining Flames ability. Have you had any trouble with any of the issues listed above? How have you been getting on in your journey across Alrest? Tell us below. "We still think drop rate for KOS-MOS is ok. Losers"
I am on the final stretch of Torna and will probably never notice any of these fixes since I am just powering through the story. Sometimes I wish I didn’t have such a backlog of games - all I do is get through the main story and nothing else. So much has been added to Xenoblade Chronicles 2, but it all goes ignored because I have so many other games to get through. Glad they fixed that chain attack issue. It was really jarring having to pause in the heat of battle to wait for the character select to register. Made me have a mini heart attack each time cause I thought I messed something up. Wait. Nintendo gave out patch notes??? WHERE IS STABILITY WITH NO INFORMATION??? @Bunkerneath Nintendo has been doing patch notes all generation. I haven't run into any of those issues, but nice to hear they got fixed. XC2 is still my fave game on the Switch. Cool. Yeah I was kind of wondering what was up with the delay at the beginning of round 2 in a chain attack. It would take like 3-5 seconds before you could select someone. XC2 is still my favorite game. 430 hours and going. The chain attack issue I've seen, and the "Rare sense of justice" quest was confusing to a lot of people. Does it still look like garbage in handheld mode? @DeathTrap It’s clearly not as good as in docked mode, but I wouldn’t call it garbage. And some areas are worse or better than others. I love how they keep supporting this game almost a year after launch. @SteveF I got her on my 3rd crystal, I almost cried. 420 hours into Xeno2 and 42 hours into Torna, I never encountered any of those bugs (fortunately they patched all the obvious flaws early on). Yesterday, before the new update, I completed all DLC blades affinity charts with an S rank. Poppibuster was the final one of the 6 DLC-only blades that took a bit of time to complete. Now I only use blades with S-rank to get them up from S1-rank to S9-rank and then to the final S+ rank. It seems I need a third (and maybe fourth) playthrough to unlock everything in the drivers NG+ affinity trees. Some of the final ones unlock at 20.000 special exp! Is there a way to farm this? This is nice. The only ones of these I've seen is "A Rare Sense of Justice" where after finding all the barrels, it won't let me report the quest back to the giver. I presume this update tells me what to wait for now. @SteveF I literally got her on my first try when I recently came back to the game after picking up the expansion pass. Most of the time luck is never on my side so I have no idea how THAT happened. @XenoShaun I had gotten mine from my first legendary core from that MyNintendo promo that was going on during September, I only managed to pull off getting 3 rare blades off of 20 legendary core crystals, and my 40 or so rare crystals gave me nothing but commons. I guess it’s back to grinding to try to collect the rest of them. @SKTTR yes there is. Check out wargasmic gaming on YouTube. His channel has unbelievably great tactics for farming in XBC2. I wonder if they're working on improving handheld performance. Resolution change is simply jarring after playing docked. I've seen many people complain about it. Wonder if the devs know. Or if they think it impossible to improve. If only this came the day before, when I had my only pause menu locked in glitch. T.T Assuming this patch did anything to that. I haven't noticed any of the issues listed because I still have yet to start XC2 or Torna. I downloaded the game + expansion pass when it released, but I've been busy with other games. It was a pretty big update. 3.7 gb. I demand a fix for the performance issues that I, and the majority of players, have never encountered or considered a big deal. 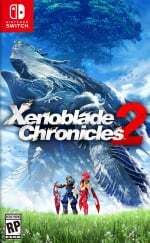 100+ hours in handheld mode alone, and I have never noticed ANY of the “gamebreaking” graphical and/or performance issues that a handful of people swear by. I hope they get that frame rate up above 2000 for you superhuman, obsessive-compulsive [removed] that see things the rest of us can’t. In the meantime, this’ll remain one of my favorite Switch games. Thanks Nintendo, but next time, tell monolith soft that jumping 6,000 times for T-elos' chart affinity isn't exactly what I'd call a good way to grind. can you set the Switch to store the updates and/or downloads on the Micro sd card, or does it only start using the card automatically when internal storage is maxed out ??? It automatically stores to an SD card first(except saves). All of the games I have on cart (except games like Doom, etc) I save the updates to internal memory. To do that you have to not have an SD Card in the system then update.